As mentioned in previous posts, WordPress 4.0 includes a language chooser. After selecting a language WordPress will download and install the language pack on the fly. The rest of the install process will then be in that language. To make this possible we introduced some helper functions or changed existing functions. translations_api() is based on plugins_api() / themes_api() and retrieves translations from the WordPress Translation API. The first argument $type must be core, theme or plugin. $args is used for additional arguments. For example $args['version'] should be specified for all types. Types theme and plugin must set slug too. wp_get_available_translations() function is a wrapper for translations_api() and returns core translations for the current installed version. The API result is cached for 3 hours. As soon as a language is selected and the Continue button is clicked, WordPress will download the language pack in background, wp_download_language_pack() does this with the help of Automatic_Upgrader_Skin and Language_Pack_Upgrader. The WPLANG option is now set in single sites too and is populated on upgrade, based on the value of the WPLANG constant, which is now deprecated, see . get_locale() now includes the global $wp_local_package variable (used in localized packages) and an existing but empty WPLANG option can override the WPLANG constant as an empty WPLANG option is equivalent to en_US. wp_dropdown_languages() replaces mu_dropdown_languages(), which had many issue like not supporting variants of the same language (like en, en_GB, en_CA and en_AU). The new dropdown is populated by the translation API. In WordPress 3.7 we had introduced Language_Pack_Upgrader::async_upgrade(). Asynchronous translation updates will run after a theme or plugin is installed or updated. What’s the purposes of async updates? One, when you install or update a theme or plugin, you’d expect to get the translations updated for that theme or plugin. But all out of date translations are updated here (even when that plugin or theme was already up to date), in order to capitalize on the fact that we have a filesystem connection (which may be via user-submitted FTP credentials). In WordPress 4.0 this asynchronous update will no longer run on version-controlled installs. You can also use the async_update_translation filter (which corresponds exactly to the auto_update_translation filter) to disable it, see . Localized packages will skip language chooser, see . For BC it’s allowed to choose a language specified by the WPLANG constant (but not installed), see . General Settings includes an option for the Site Language in single sites now too. WPLANG section from wp-config-sample.php is removed, see make/polyglots post. On install, WordPress will skip the language chooser if it has no access to the filesystem without asking for credentials, see . For a peek at what’s to come in 4.1, check out #29395. Very cool! 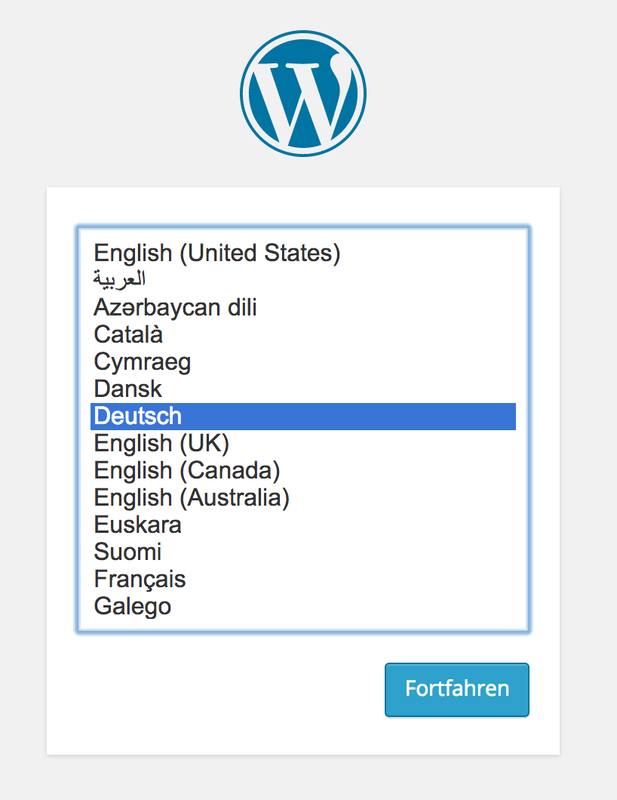 This means great things in the future for WordPress in non-English speaking countries. I can’t wait to be able to implement something like this in my plugin 😉 So that I don’t have to ship all the .po/mo files every time. @camu @ocean90 may be this could be implemented as an api, to allow plugins to use it ! thanks for the update @ocean90. Is there a parameter that can be set in wp-config.php to pre-select the default language(s)? 1) There are language packs (only WP core localization files) and localized packages (the whole localized build). So users will download de_DE for 4.0 version (localized package) and they will never see language chooser? They have to download original English version to using language packs? So localized versions will be removed in the future? 2) Language packs are created automatically? Is there any period, for example once a day (24 hours)? Or whenever something changed in GlotPress? 3) Language packs are not updated automatically in background on website? Only when installing/updating plugin/theme? Is there any chance how to enable it automatically in background (like minor WordPress releases)? 1) Yes, localized package won’t see the chooser. But it will be improved and yeah, the main goal is to remove localized packages. But this needs its time. And manpower. 3) Language packs are updated automatically. It’s enabled by default. ad 3) Is it possible to disable automatic background language updates and allow them only when installing/updating theme/plugin? Filter async_update_translation can disable only both? Then you have to use the auto_update_translation filter. I have an issue regarding WordPress 4.x Translation function. Translation working on all previous WordPress version 3.x but not working with latest once. I had posted the my issue on WordPress Forum. Someone please look at this. Hello, I’m wondering is there a way to select the language programmatically? I Mean how i can override the wplang option throw the theme? to change for the visitor not all the installation? You can use the locale filter, see https://developer.wordpress.org/reference/hooks/locale/. Awesome, it’s working thank a lot for your help. Hello, again i added the filter on the theme functions.php put its applied only for the from end the local on the back-end still the same. any ideas? ok. i installed in english, but now i wanna to change Site Language into Lithuanian. HOW to do that? All clear now, thanks for reply. Hi, I made a fresh install of wordpress 4.0 via Quick Install on my cpanel and didn’t have any option for languages. I also don’t have the option available in General Settings, what’s the easiest way to fix this? It is interesting that until I add the define(‘WPLANG’, ‘tr_TR’); in the wp-config.php file, the General Settings will not display the ‘Site Language’ option. Another thing is that, for example, I have the ru_RU and tr_TR .p and .mo files in the themes root folder. Because the WPLANG is set to tr_TR the ‘Site Language’ option gives me 2 English (United States) and Turkish option, but will not give Russian option as it is not defined in WPLANG. But I do have the ru_RU .po and .mo files there. I am a bit confused about how this all works. Sorry, I meant that the Site Language drop-down gives me 2 language options, English (United States) and Turkish, but does not recognize the Russian .po and .mo files. I am guessing because WPLANG is set to tr_TR in wp-config.php? With sincere apologies (and a request for redirection) if this is the wrong place to share the following information: my autoupgrade failed with the message “Could not copy file. : wp-admin/js/language-chooser.min.js”. This resulted in a partial upgrade (newly overwritten files were not reverted to the old version), complete with WSOD on site and admin pages. I proceeded to do a manual install, and everything restored perfectly. Since this appears to be a new file in 4.0, I’m guessing a permissions/ownership problem on my side may have prevented copying the new file to the server (we’ve had related issues). Any suggestions would be most welcome, so that I might avoid this issue in the future. We would love to get some more information on this problem, as a WSOD is the last thing we want users to see, even when an upgrade goes wrong. Could you open a bug report on our issue tracker please? https://core.trac.wordpress.org/newticket. Information such as your OS, the name of your web host, what version of PHP you’re running, and your site’s domain name (I believe there are some limited logs we can pull from the WordPress.org API if we know the domain name).